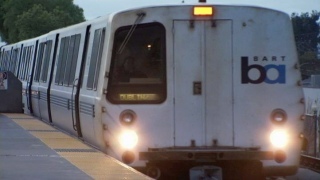 BART trains were briefly delayed Tuesday night at the West Oakland station after police received a report of a possible gunman at the station, according to BART. Police allegedly received multiple calls regarding a person with a gun and police immediately responded, BART officials said on Twitter at about 8:20 p.m.
Those reports, however, appeared to be unsubstantiated and police were unable to find anyone with a gun, according to a BART watch commander. The incident caused a 10-minute delay in the Pittsburg/Bay Point, Dublin/Pleasanton, Richmond and Millbrae directions. The delays have since been resolved and BART is recovering.